I will always love you with all my might. 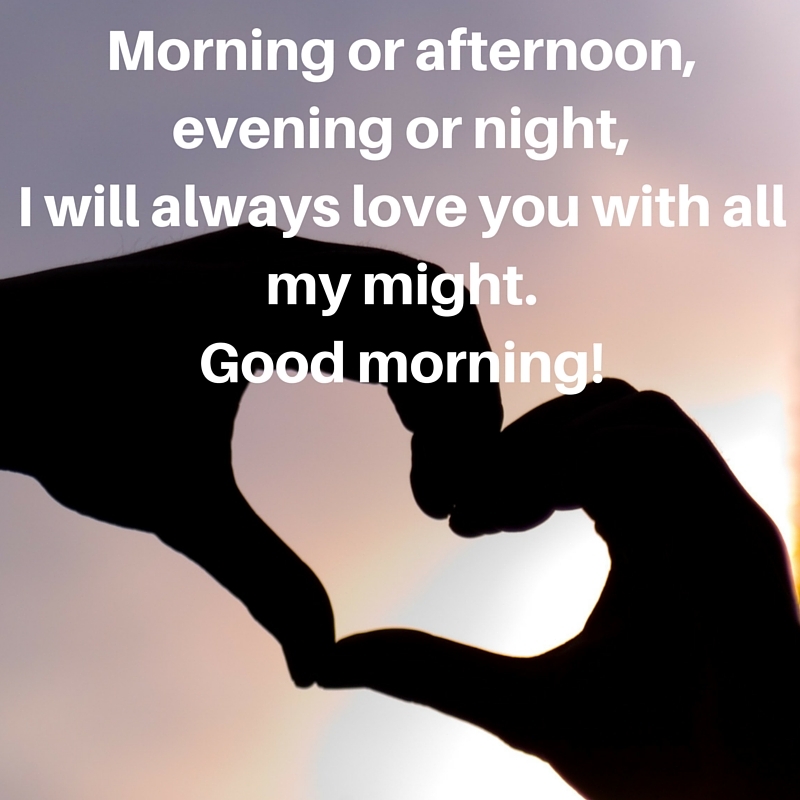 Morning or afternoon, evening or night, I will always love you with all my might. Before the whole world goes off to sleep again, before the moon makes a re-visit, please get up and at least for once have a look at how beautiful mornings can be. Good Morning and have a wonderful day ahead. You’re in here, part of me.